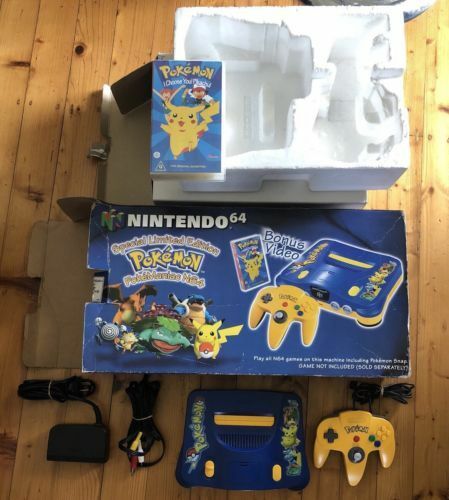 Blue and yellow console decorated with Pokémon, yellow and blue controller, Transfer Pak with manual, Pokemon Stadium game cartridge and manual. Classic charcoal black console, a grey and a transparent purple controller, the game cartridge Pokemon Stadium, its manual, the Transfer Pak and the Pokemon guide book in Spanish. Classic charcoal black console, a grey and a transparent purple controller, the game cartridge Pokemon Stadium, its manual, the Transfer Pak and the Pokemon guide book. 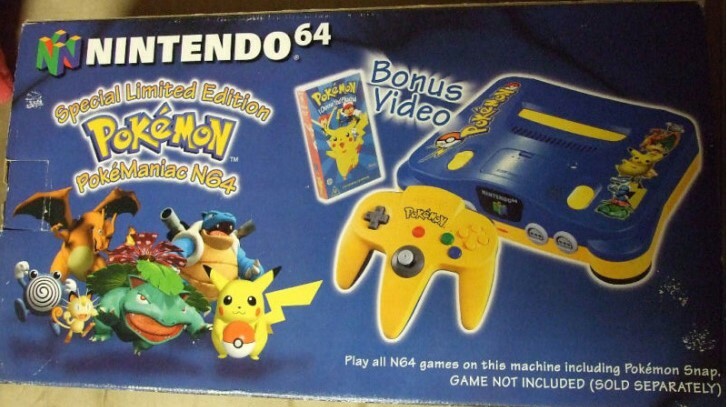 Console and controller in two colours, blue and yellow, a VHS tape of the Pokémon movie. Classic charcoal black console and grey controller, special Pokemon Stadium box showing the console colour, Pokemon Stadium game cartridge and manual, Transfer Pak. 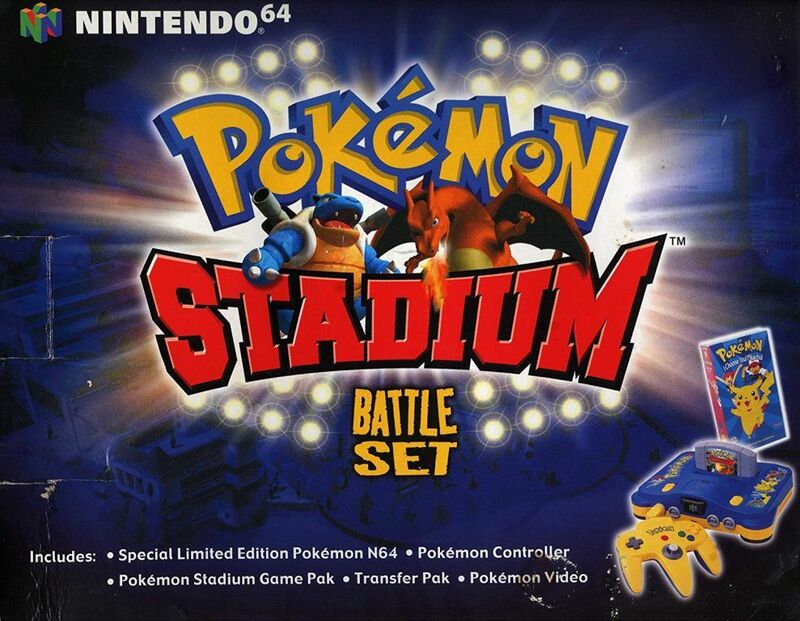 Blue and yellow console decorated with Pokémon, yellow and blue controller, Transfer Pak with manual, Pokemon Stadium game cartridge and manual, VHS tape of the Pokémon movie. 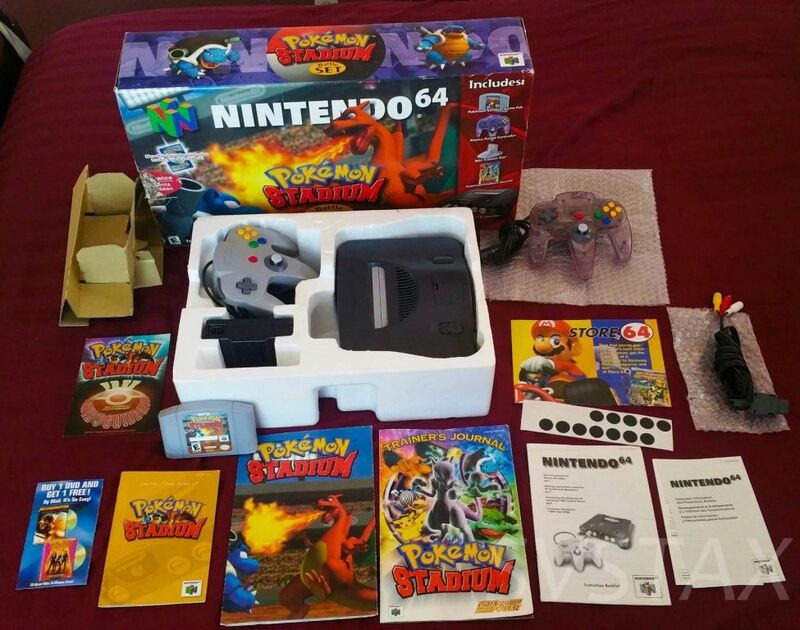 Transparent purple console and controller, special Pokemon Stadium box showing the console colour, Pokemon Stadium game cartridge and manual, Transfer Pak. 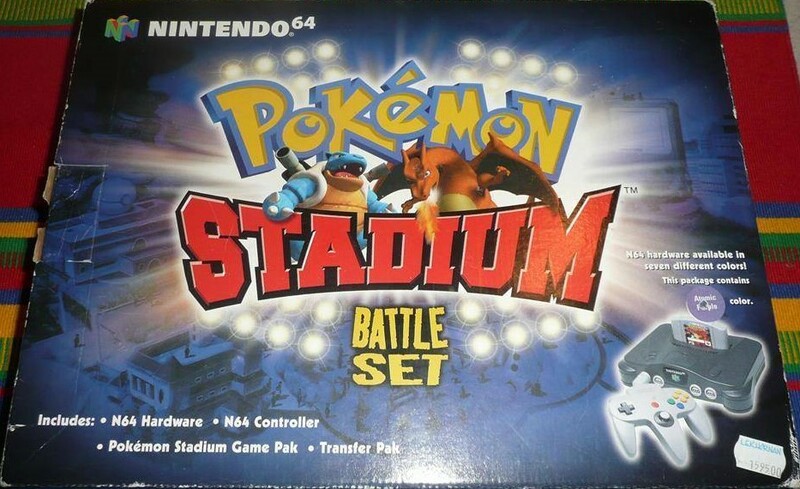 Transparent red console and controller, special Pokemon Stadium box showing the console colour, Pokemon Stadium game cartridge and manual, Transfer Pak. 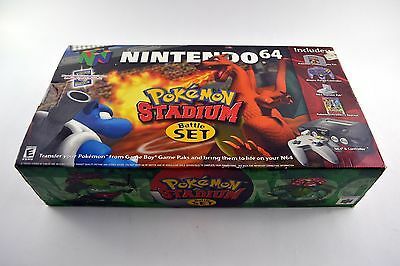 Transparent green console and controller, special Pokemon Stadium box showing the console colour, Pokemon Stadium game cartridge and manual, Transfer Pak. 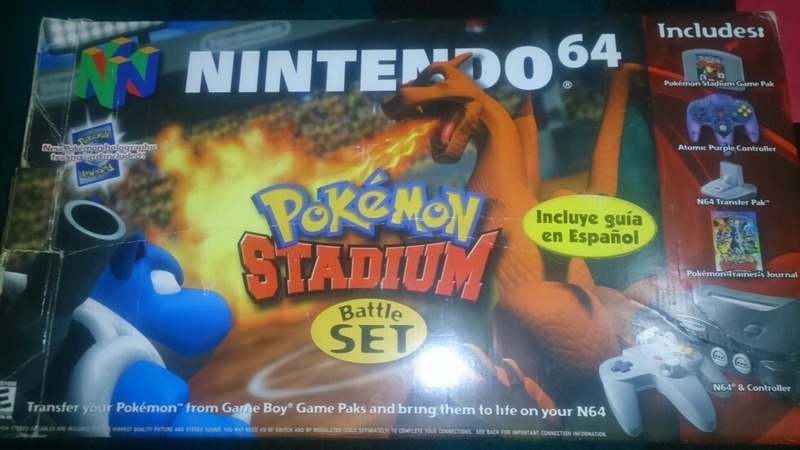 Transparent blue console and controller, special Pokemon Stadium box showing the console colour, Pokemon Stadium game cartridge and manual, Transfer Pak. 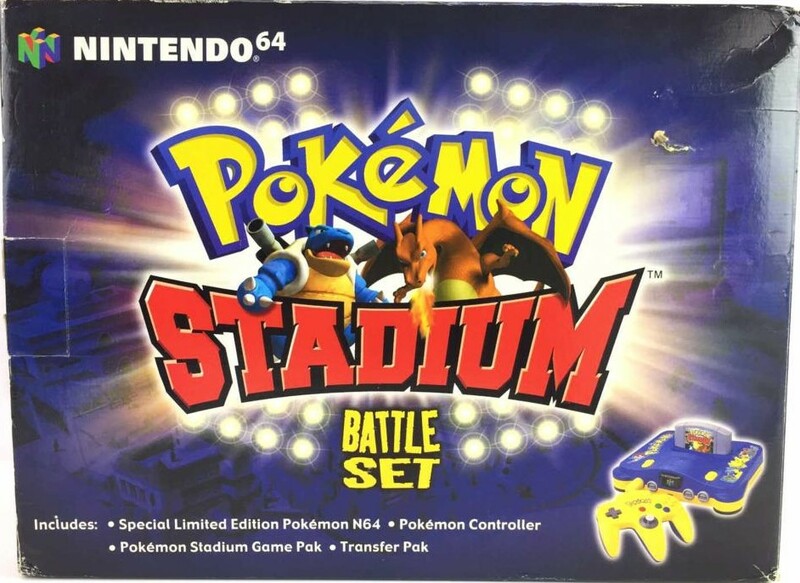 Transparent black console and controller, special Pokemon Stadium box showing the console colour, Pokemon Stadium game cartridge and manual, Transfer Pak. Excitebike 64 is the best motocross game available on the Nintendo 64.